Artichoke is recognised for its beautiful designs and high quality joinery. 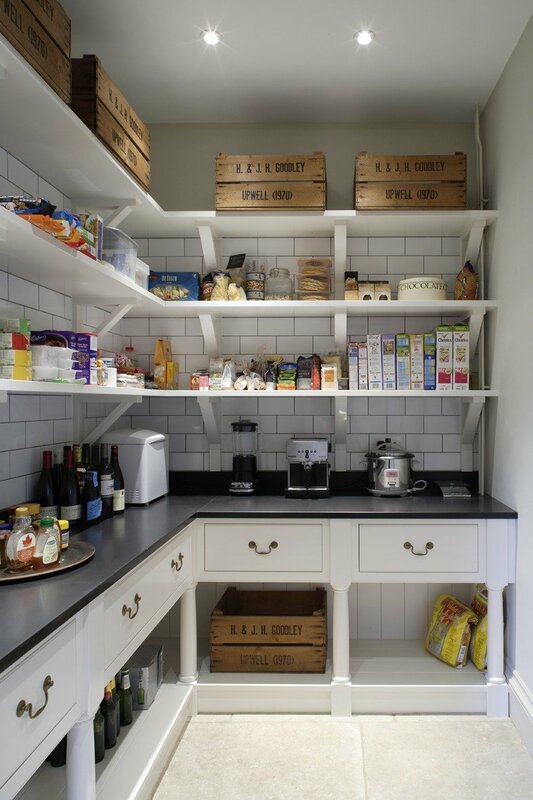 A butlers pantry is a wonderful extension to any kitchen. It provides a separate area for food and drink storage, helping to keep a busy kitchen organised. Taking the time to understand exactly how your pantry will be used is what we are good at. What type of food, and how much will be stored? Will you require any additional appliances? This meticulous attention to detail results in beautiful, functional rooms that last for generations. Furthermore, we pay special attention to the architecture of your property, so that the pantry feels like an authentic part of the house. 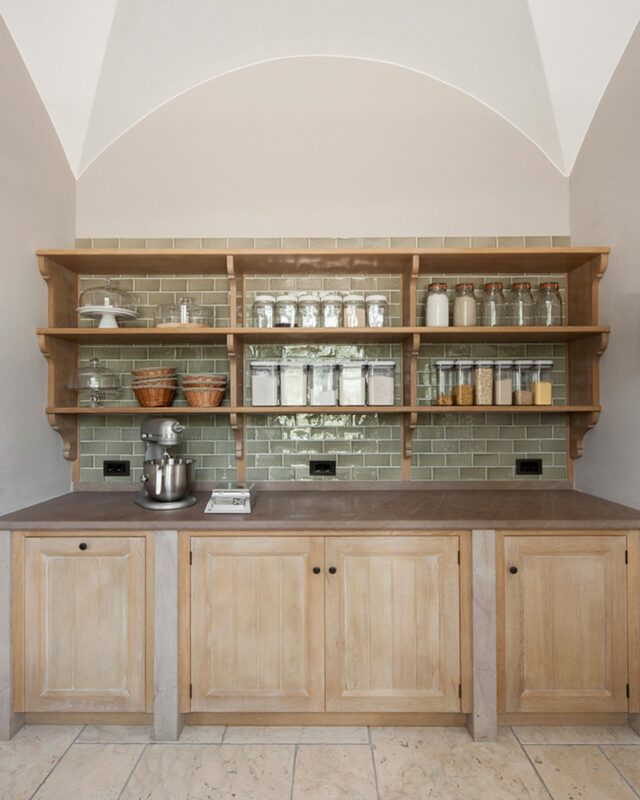 If you are interested in installing an elegant and functional butlers Pantry, or would like to renovate an existing one, we have the skills and expertise to create it for you. Artichoke has been designing stunning interior joinery for over 25 years. Our work is based in and around London, across the UK, and internationally. We are renowned for our bespoke, high quality craftsmanship and unique approach towards every project. Please feel free to browse our portfolio for more examples of our work. If you would like to get in contact to discus a potential project, email newprojects@artichoke.co.uk, or give us a call on 01934 745270.